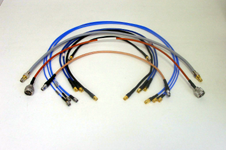 Cooper Interconnect is made up of the following companies: WPI-Viking Connector ; WPI-Burton Electronics ; WPI-Murton; WPI-General Connector ; WPI-Gary Electronics and G&H Technology. By combing all of these companies Cooper Interconnect can now provide the Mil-Aero, Space, Commercial Aircraft , Utility, Industrial, Oil and Gas and Medical Industries a compete design and COTS and Custom product offering. You will find product offerings and links to all of these companies and their catalogs below. To learn more about Cooper Interconnect down load the pdf presentation by clicking on the catalog section of the PAR Marketing web site above. For a copy of the Burton (Cooper LaGrange or Camarillo subsea) catalogs click the link below or go to Catalogs Page. AIr Craft Ground Power Cables, plugs and receptacles for both Commercial and Military Aircraft. Military Military Designations: AN2551; MS24121; MS24208; MS25019; MS90328; MS90347 for a complete list click on our Mil &MS List above. Sub-sea dry mateable plugs and receptacles, Wet Mate, Underwater Ethernet, TOW Cables, Penetrators, Umbilicals. Down hole penetrators for the Oil and Gas Industries. 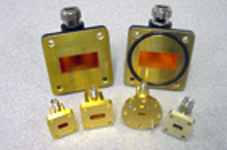 Formally part of the WPI group of companies they legacy has been to build custom products that are used in Commercial Aviation (all Boeing Platforms); IP67 connectors products used in wireless meter reading, small circular connectors for specialized applications including high vibration and Military harsh environment and various plastic connectors for Medical and Commercial/Industrial operating environments. For over 50 years G&H has produced high quality and extremely reliable connecting devices for Critical Mission applications. With Space legacy mounting they are leaders in Non-Explosive Actuating Devices and Hold Down Release Mechanisms, Their extraordinary engineering department designs, models and tests products in partnership with their customers. Formally WPI, General Connector and Gary Electronics, manufactures Tactical Communications products such as: Antenna Connectors, Battery Connectors, Audio (MIL-DTL-55116, MIL-DTL-10544), GPS Connectors, Rack and Panel, EMI-RFI Filtered, Power Connectors M55181, Power Connector Class L Series, U-Type Multi Purpose Connectors, Mil:24308, Mil 26482, Mil 55116, Mil 55181, Mil 24308, Mil 12520. Below is a schedule of some of their vehicle application products. 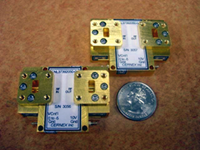 CERNEX, INC., MANUFACTURES GaAs, HEMT, PHEMT, and MMIC based products covering 30KHZ-110 GHZ range for commercial and military applications. 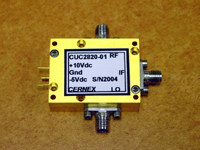 Our company has been manufacturing Millimeter-wave products and subsystems up to 220GHz. All our designs are developed using the latest Computer Aided Design (CAD) software, and state of the art equipment. For many years, CERNEX, INC. has provided numerous design solutions for many types of systems. CERNEX, INC. is a leader in custom design capabilities, and offers a variety of optional features, which include components such as integral isolators, limiters, filters, attenuators, gain control, coupled output ports for our amplifier products. ... combine the advantages of quick, easy installation with high electric strength, mechanical toughness and superior chemical and environmental resistance. Our heatshrink moulded shapes offer important functional and cost saving benefits for electrical and electronic applications ranging from insulation and protection of individual components to fabrication of complete inter-connecting cable harness assemblies. Strain-relieving boots, transitions and connector backshell covers, as well as other specialised shapes are available in a wide range of sizes and options. D-type connectors as well as complex multiway transitions. ratios, of up to 5:1. 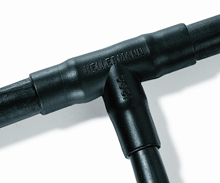 The use of our heatshrink moulded shapes in conjunction with our specialist heatshrink tubing makes it easy to fabricate complete jacketed wire and cable harnessing and interconnection systems of the highest quality. Heatshrink moulded shapes are available for the complete range of electrical and electronic harnessing applications. They can be sealed with our special adhesives and encapsulants to ensure the proper degree of mechanical support, strain relief and environmental protection. Encapsulating the complete harnessing and interconnection system to the desired configuration is easily and neatly accomplished, with minimum weight and bulk. From medical, to renewable energy (solar), via railway, Off-Road, instrumentation and lighting, Souriau is your connector and cable assembly source. Souriau will provide you with a power and/or signal industrial connector that will be the total solution, from cable to board level. 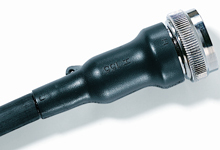 We will offer you a broad range of rugged, IP68 waterproof (metal and plastic) connectors that have several attachment options. Souriau manufactures interconnect solutions in push-pull, circularbayonet coupling styles and rectangular, as well as all associated cable assembly options. We will bring our expertise in high speed data transmission (Cat5e, Cat6), fiber optic (FTTH, FTTA) and power supply and help to save engineering time. Sunbank, formally known as Joslyn Sunbank, is now a Division of Meggitt Corporation. Know for manufacturing high quality products, Sunbank is a leader in various industries. Sunbank is approved on thousands of MIl-C-8049 backshells and BACC parts. Sunbank is a major supplier to both Boeing and Airbus. Sunbank supplies custom solutions which are used on harsh environment applications throughout the Mil/Aero, Industrial and Commercial Aviation Markets. Specialised shapes available in a wide range of sizes and options.